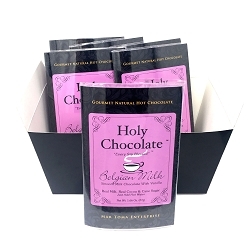 1X Strength Milk Hot chocolate. 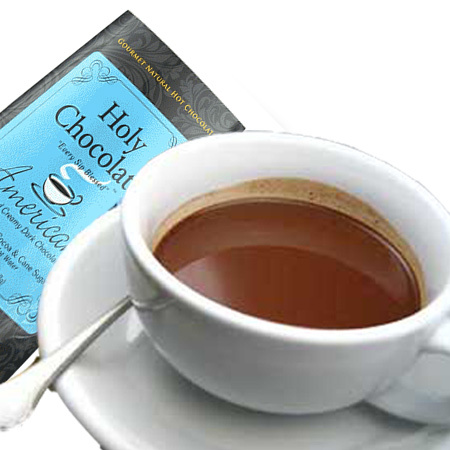 Light, sweet and supremely creamy hot chocolate with Madagascar vanilla. 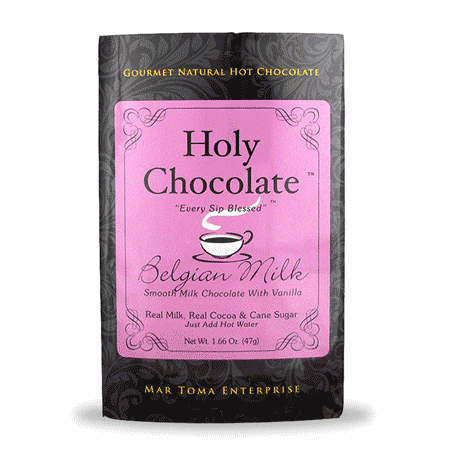 In America, we all grew up with sweet, creamy, and oh-so-smooth Belgian chocolates. But being in the chocolate business, I found there was a higher tier of Belgian milk chocolates that aren’t often imported to America. They are super smooth in flavor, buttery, creamy, sweet, and very couverture like. This is like the Belgian chocolate you should have been getting, with a subtle twist. 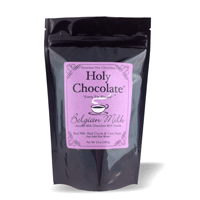 While the Swiss cocoa is all about creaminess, the Belgian Milk is all about smoothness. In a way, it is a cross between the two styles that is also geographically between the two countries--but this time, with some vanilla for a touch of the nostalgic. Most Americans grew up with homemade hot chocolate where their mothers would make it from scratch on the stove. They would lightly dust the hot milk with some cocoa powder, add some sugar, and then they would add some imitation vanilla they had laying around. So I just took this nostalgic experience and tweaked it all up to the gourmet level with high-quality cocoa, a lot of real milk powder and finally…real vanilla powder taken from Bourbon and Tahitian vanilla to really set the flavor. There is nothing like real vanilla. Just like Grandma used to make. Only better. When I was developing this recipe, I gave some to a friend’s sister-in-law. Her bright eyes lit all up as she said, “It tastes just like my grandmother used to make!” She was at once alarmed and delighted. She was so happy and clutched the cup to herself. It was obvious that she was having a moment of nostalgia as she was reconnecting with her grandmother and childhood memories--all in a cup which was quickly empty. Just add water, and you may also have a moment of nostalgia. One serving has 1.66 oz. of mix (almost 70% more than some brands) so that the milk is perfectly reconstituted and the chocolate taste is profound. There's no need to double up on packets. 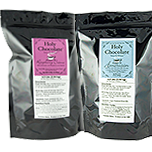 All our mixes only use real cocoa and real dried milk from pasture cows that are free of added rBST and antibiotics for an incomparable taste. There are no artificial additives, preservatives, or fake milk mixes. 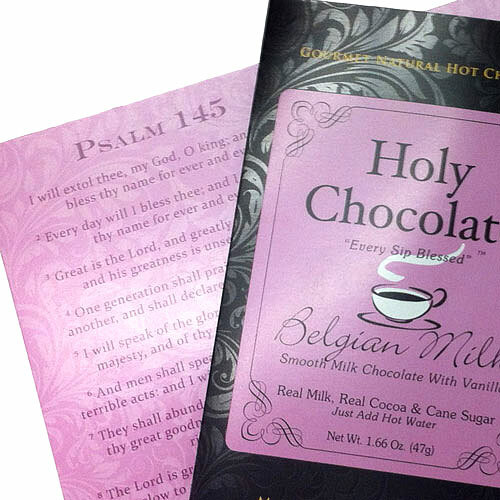 Heavenly things for a Heavenly people!... As is perfectly right! 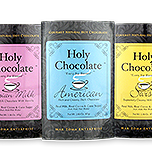 Whole milk powder (rBST free), pure cane sugar, dutch process cocoa powder, natural vanilla powder.